As winter is finally coming to a close at Crossogue, we have been busy welcoming this years group of foals. With 8 mares to foal it is an exciting time for us all. 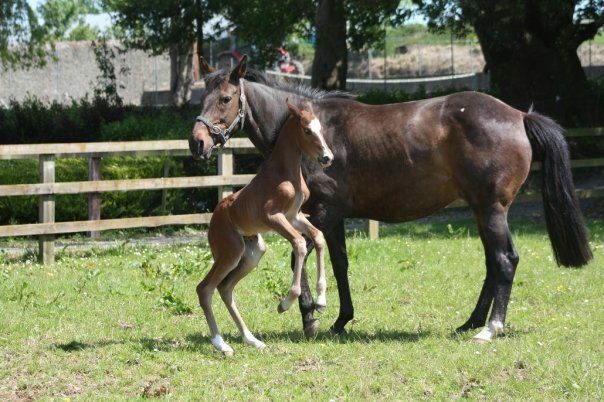 Along with our lovely foals we have welcomed our first guests of the season who as part of their equestrian holiday they have been able to get a front seat look at the new arrivals first moments. As Tipperary is known for its lush grass, all bouncing babies are out to grass along with their proud mums.